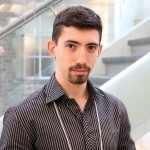 Matthew is a Ph.D. student with the Department of Earth Sciences and the Centre for Planetary Sciences and Exploration at the University of Western Ontario. His research encompasses a variety of topics including impact cratering, lake systems, hydrothermal systems, clay mineralogy, light stable isotope geochemistry and analogues for planetary exploration with a focus on their significance to astrobiology. Matthew is currently studying hydrothermally modified lake deposits in the Ries impact crater in southern Germany. 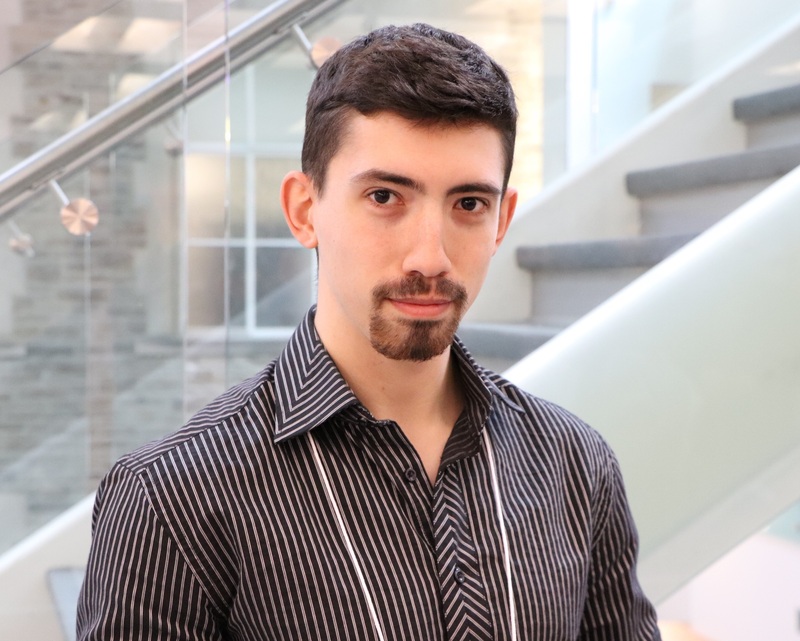 His research aims to improve current understandings of the post-impact environment and what that environment could have provided for early life forms. The results of this research could help prioritize targets for Martian exploration and will improve our understanding of how crater lakes form, and how they could affect the longevity of impact-generated hydrothermal systems. Svensson M. J. O. *, Osinski G. R., Longstaffe F. J., Simpson S. L., 2018. Hydrothermal alteration of the crater lake sediments at the Ries impact structure, Germany. 55th Annual Meeting of the Clay Minerals Society, Page 228. (International Conference; Ph.D. Thesis; Oral Presentation). Simpson S. L.*, Osinski G. R., Longstaffe F. J., Kring D. A., Schmieder M., Svensson M. J. O., Gulick S. P. S. 2018. Characterization of impact glass alteration and associated secondary clay mineralogy through the upper Chicxulub peak ring. Lunar and Planetary Science Conference XLIX, Abstract #2518. (International Conference; Collaborative Research; Poster Presentation). Svensson M. J. O. *, Osinski G. R., Longstaffe F. J., Simpson S. L. 2018 Hydrothermal alteration of the crater lake sediments at the Ries impact structure, Germany. Lunar and Planetary Science Conference XLIX, Abstract #1370. (International Conference; Ph.D. Thesis; Poster Presentation). Svensson M. J. O. *, Fralick P. W. 2018. The Badwater Gabbro as an analogue for the weathering of Martian basalts. Lunar and Planetary Science Conference XLIX, Abstract #1372. (International Conference; Undergraduate Research Assistantship; Poster Presentation). Svensson M. J. O. *, Malloney. M., Duff. S., Osinski G. R. 2017. Laser induced breakdown spectroscopy (LIBS) as a simulated stand-off instrument in the CanMars 2016 analogue mission. Space Day at Western. (Institutional Conference; Analogue Mission Work; Poster Presentation). Innis L.*, Svensson M. J. O. * 2017. The potential for a high altitude balloon mission through the Centre for Planetary Science and Exploration (CPSX). Space Day at Western. (Institutional Conference; CPSX Outreach Work; Oral Presentation). Osinski G. R.*, Battler M., Caudill C. M., Pilles E., Allard P., Balachandran K., Beaty D., … Svensson M. J. O. et al. 2017. Overview of the 2016 #CanMars Mars sample return analogue mission. Lunar and Planetary Science Conference XLVIII, Abstract #2417. (International Conference; Analogue Mission Work; Poster Presentation). Svensson M. J. O., Malloney M., Duff S., Osinski G. R.* 2017. Laser induced breakdown spectroscopy (LIBS) as a simulated stand-off instrument in the CanMars 2016 analogue mission. Lunar and Planetary Science Conference XLVIII, Abstract #1511. (International Conference; Analogue Mission; Poster Presentation). Svensson M. J. O. *, Kissin S. A. 2016. Source of Native Iron in Canadian Arctic Artifacts. 61st Meeting of the Institute of Lake Superior Geology. (International Conference; Honours Thesis; Poster Presentation). Svensson M. J. O. *, Fralick P. W. 2016. The Badwater Gabbro as an analogue for the weathering of Martian basalts. 61st Meeting of the Institute of Lake Superior Geology. (International Conference; Undergraduate Research Assistantship; Oral Presentation).